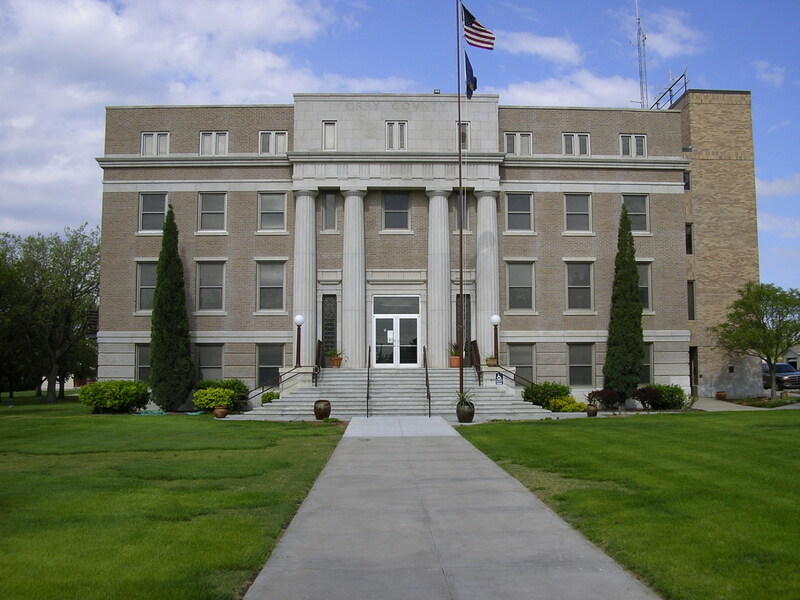 Gray County is a county located in Southwest Kansas in the Central United States. In 1887, Gray County was organized, having been originally a part of Ford County. At that time, Cimarron had a population of approximately 1500. The population of Gray County today is 6,005. The Santa Fe Trail follows through Cimarron. This was a trade trail and over 780 miles long. Wagons carried trade and supplies each day traveling about 17 miles per day. The most direct route was though the Cimarron Crossing. The actual point of crossing was somewhere between the present towns of Cimarron and Ingalls, depending on the condition of the Arkansas River. The Cimarron Crossing Park has two markers describing the trail throughout this area.